January 22 and 23 at Euro Day Spa. HydraFacial MD® is one of the most innovative, non-laser facial rejuvenation treatments available. It has been featured on Fox, NBC, ABC, CBS, The Doctors TV show, Allure, Essence, INstyle Wedding Magazine and more. 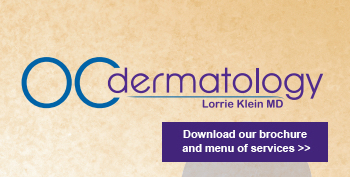 Always on the cutting edge, Dr. Lorrie Klein chose this device because she loved how it made her and her husbands skin feel soft and smooth (men love it too!) While some spas have the non-MD version of HydraFacial, as of 2014 we are the only dermatology office in South Orange County to have HydraFacial MD®. Schedule a HydraFacial MD treatment for only $75 ($175 value). Buy a package that day and you can apply the $75 towards it (making your treatment FREE)! Space is very limited so call to reserve your spot now: 949-495-4500.